Nomination forms are available at the District Offices, offices of the Returning Officers, and the Registration and Electoral (“REO”) Office at 10/F, Harbour Centre, 25 Harbour Road, Wan Chai or Units 2301-2303, 23/F, Millennium City 6, 392 Kwun Tong Road, Kwun Tong. 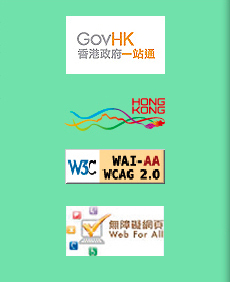 They can also be downloaded from the REO website (www.reo.gov.hk) or this website. (3) 106 ex-officio members (Hong Kong deputies to the National People's Congress and Legislative Council members). Figure in brackets denotes no. of members. Members from subsectors (1) to (35) are returned by elections. Registered voters whose names have been included in the 2016 Final Register of Voters may cast their votes in the elections. You may search the “Online Voter Information Enquiry System” (www.voterinfo.gov.hk) to see if you are a registered voter and if applicable, your registration particulars in the above Register. Each voter or authorised representative (“AR”) will be assigned to a designated polling station. A poll card showing information about the designated polling station of a voter or an AR will be issued to him/her at least five days before the polling day. Voter or AR in custody will be arranged to vote at a dedicated polling station in a penal institution or police station as appropriate. All ordinary polling stations are accessible to persons who are wheelchair users or have mobility difficulty. Bring along your Hong Kong Identity Card* to your designated polling station on 11 December 2016 (Sunday) during the polling hours (7:30 a.m. to 10:30 p.m.), and present it to the polling staff inside the polling station who will verify your personal particulars against the subsector final register. * Section 50(1) of the Electoral Affairs Commission (Electoral Procedure) (Election Committee) Regulations (Cap. 541I) stipulates that the Presiding Officer must not issue a ballot paper to a person unless that Officer is satisfied by inspecting that person's identity document or any other document showing the person's name and photograph that he or she is the person registered in the subsector final register, whom he or she claims to be. For enquiries, please contact the REO. You will be given one or two different ballot paper(s), depending on your entitlement, the corresponding no. of envelope(s) and a cardboard. put the marked ballot paper into the envelope provided at the polling station, and put the envelope containing the ballot paper into the ballot box as directed by the arrow on the envelope. Do not fold the ballot paper or the envelope. Because of the considerable number of candidates, it is in principle alright for voters to bring along a piece of paper listing the names or numbers of the candidates of their choice for easy reference when marking the ballot papers. Nevertheless, voters should not show the paper to other people inside the polling station and they should take the paper with them when leaving the polling station. Otherwise, the voters concerned may violate the law. If you make any error in marking a ballot paper or have inadvertently spoiled a ballot paper, you may return the ballot paper to the Presiding Officer and ask for a replacement. Do NOT solicit or accept any advantage (including gift, money, etc. ), food, drink or entertainment from any person for not voting at an election, or voting or not voting for a particular candidate or particular candidates. Do NOT use or threaten to use force or duress to influence anyone's voting decision. Do NOT vote at an election knowing that you are not entitled to do so; or after having knowingly or recklessly given false or misleading information to an electoral officer. Do NOT display or wear within a polling station any badge, emblem, clothing or head-dress which may promote or prejudice the election of a candidate or candidates at the subsector election; or makes direct reference to a political body in Hong Kong or to a body any member of which is standing as a candidate at the subsector election. Do NOT communicate with other voters including showing your votes on the ballot paper to others or use mobile telephones or any other device for electronic communication within a polling station. Do NOT film, take photographs or make any audio or video recording within a polling station. Do NOT ask other voters to mark your ballot paper – in case of need, you may request the Presiding Officer to mark your ballot paper in the presence of a polling officer. Do NOT interfere with other voters who are recording their votes.